Bumper to Bumper CSCs receive special benefits! 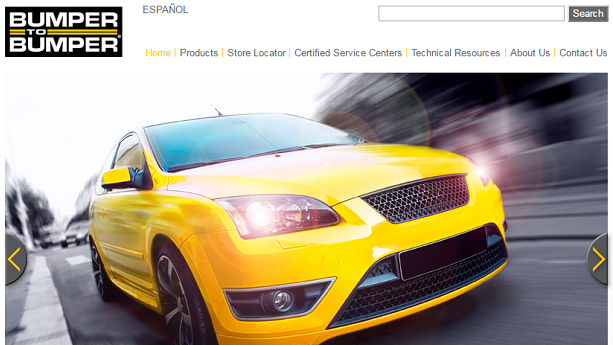 Increase your car count with Bumper to Bumper partner Repair Shop Websites. 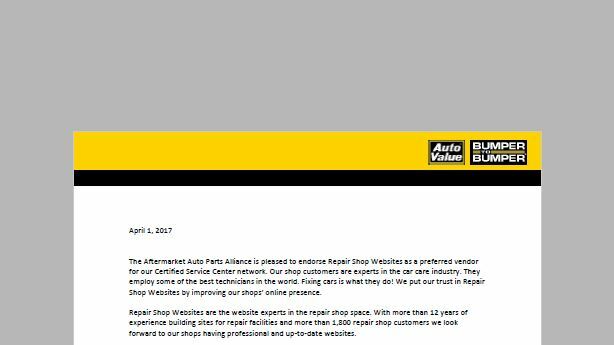 For more than 13 years, Repair Shop Websites has been building professional websites exclusively for the automotive repair industry. Our websites help more than 2,100 independent repair shops in all 50 states get found online and increase their car count. With no contracts and a 95% customer retention rate, you can be confident that you’ll receive great search results and extraordinary customer service. If you are considering a web site at all, Repair Shop Websites is the company you want to do it. I was a little reluctant at first just because of the time commitment I thought it would take, but it was just the opposite. It was so quick and simple I could not believe it. Also the follow up has been great. They don’t get you all set up and then disappear. It was truly a pleasant experience.